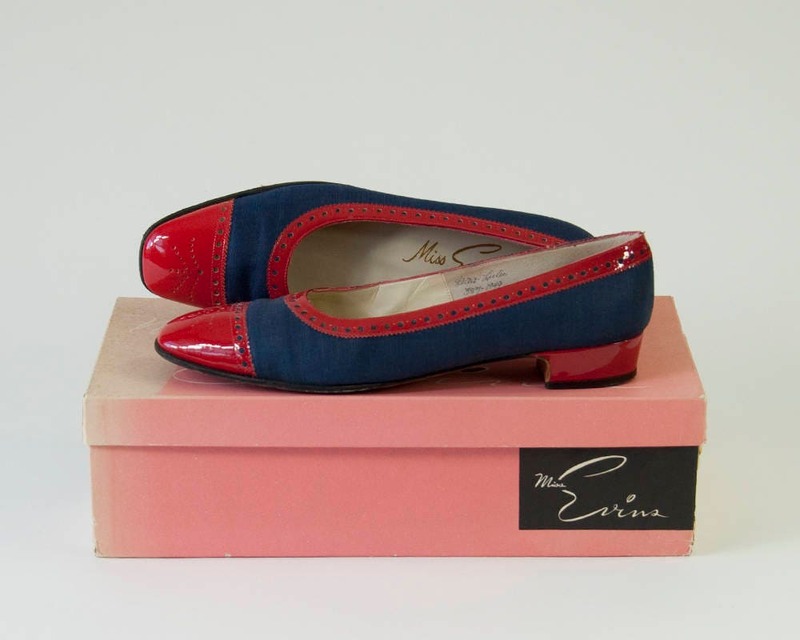 1960s vintage shoes by Miss Evins. 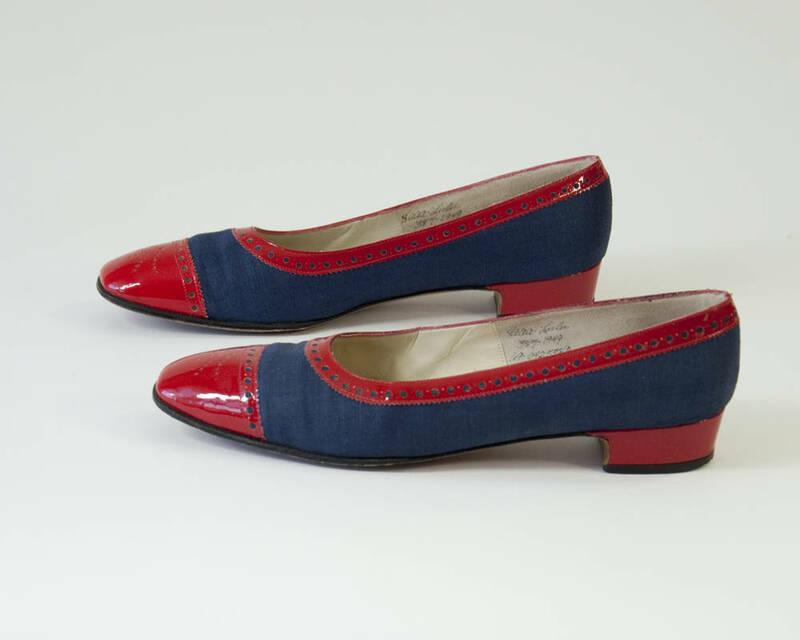 Red patent leather and navy denim-like fabric. 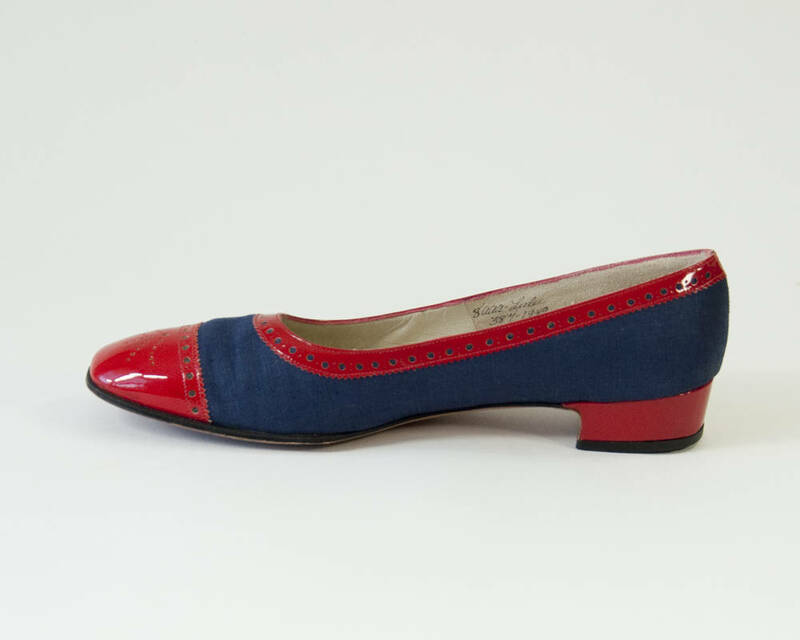 Square toe with small heel. Leather sole and inside lining. Comes with original box! Inside shoe marked "Lulu". 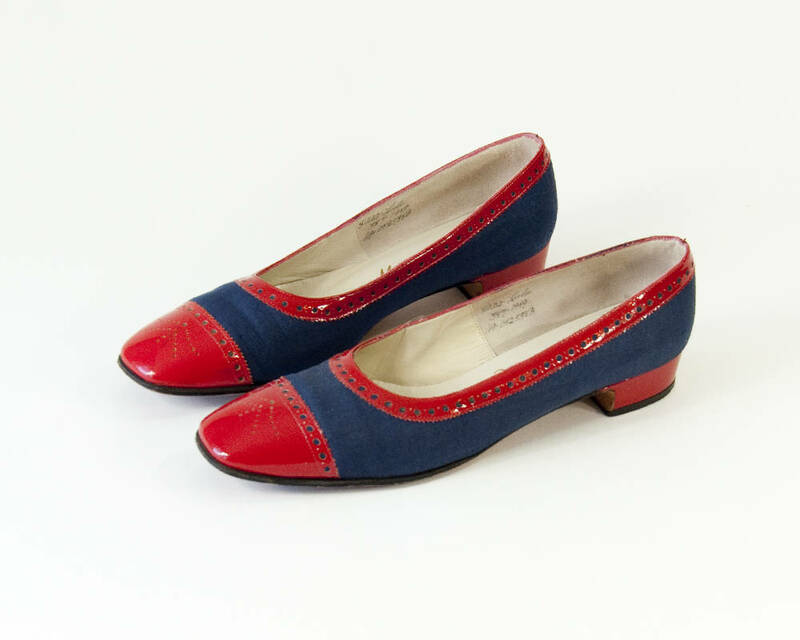 Excellent condition - very minimal wear.